Bates Jet MLS can market your jet aircraft quickly via our showcase that features aircraft for sale to buyers world wide. No matter if you are selling any large medium small or even airline type of jet bates jet will sell your aircraft to your satisfaction. Bates Jet's principals have been selling aircraft for over 3 decades and have been running online aviation businesses since the late 90's. We attract many visitors and get hundreds of thousands of page views per year. Where there was once only one publication to advertise a jet, now there are hundreds of venues. Our approach to marketing your aircraft for sale is unique and dramatically different. First, since we work with investors, we may have an immediate buyer. Also, Bates Jet might be interested in acquiring your aircraft directly. So if you are selling please call us. Perhaps we'll save you selling costs. It's more than listing a jet. First, there is no sanctioned aircraft listing service so listing a jet is really a misnomer. 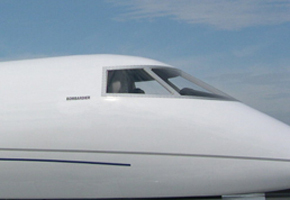 There are no rules and regulations governing jet sales aside from standard business code. There is no licensing of agents. Anyone can allow someone to market their aircraft. At Bates Jet we think the marketing of aircraft is best left to those who know how to market aircraft. And we know aircraft marketing. This web domain attracts a lot of attention from jet buyers seeking information. What better aircraft sales agency to have market your aircraft than one that attracts jet buyers. World-wide marketing program puts your jet out in front. Develop the information about the aircraft including pictures, video's, spec sheets etc. Post the aircraft information within Bates Jet MLS. Complete print trade publication advertising. Post your aircraft on other Web sites to attract buyers. Direct mail advertising conducted towards most likely buyers of your aircraft. . Please contact us for more information regarding our exclusive aircraft marketing program that will get your jet sold to your satisfaction.